The final stage into Paris is traditionally a procession, allowing the jersey holders the opportunity to share a glass of champagne, and for the riders who had a less successful race to commiserate and plan for next year’s edition. However, once the riders enter Paris, this spirit of camaraderie disappears in an instant – as soon as their tires hit the Champs Elysées, the racing starts for the honor of taking the win the final stage of the race. Circling the Arc de Triomphe on each of its nine laps, the pace will rise massively as they not only reach the end of the 116km stage, but also as this 3,351km race draws to a close. 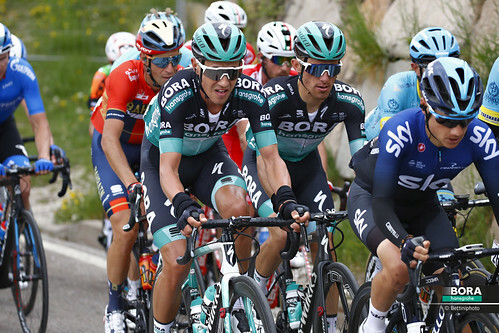 The final day usually ends in a bunch sprint, however it's not unknown for a late attack to take the win here, and with so many of the sprinters having left the race, there’s no guarantee what the result will be today – particularly with the huge crowds to cheer on the riders and give them the extra push for the line. Having secured his Maillot Vert, taking the win on the Champs Elysées would be a fantastic way for the UCI World Champion, Peter Sagan, to end the Tour de France, but while many of the pure sprinters were no longer in the race, Peter’s injuries sustained in the mountains meant it was not certain if he would be in a position to contest the win. 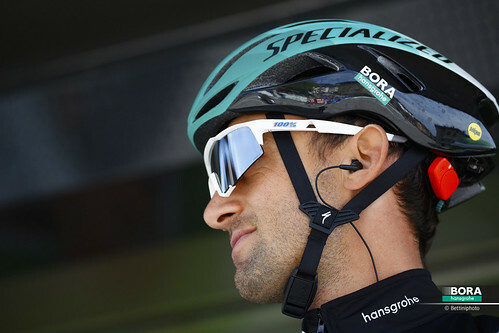 However, it was certain that regardless of any injuries or the fatigue of twenty-one stages, Peter was going to be up there in the closing kilometres, riding hard, and the whole BORA-hansgrohe team would be there with him. The road to Paris gave riders an opportunity to contemplate the thousands of kilometres in their legs, taking the day at a sedate pace to allow photographers and the television crews to get a shot of the jersey holders – including the UCI World Champion, Peter Sagan, who would be taking the Maillot Vert for a record-equalling sixth time. 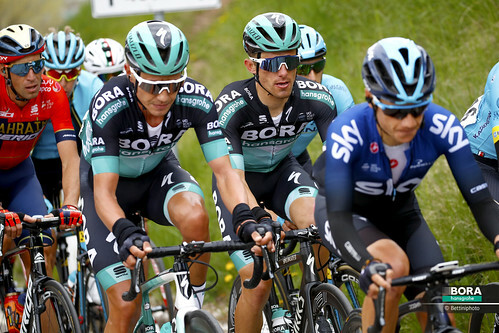 The Slovak rider had taken all three of BORA-hansgrohe’s stage victories, but it was the team’s efforts throughout the race that had brought him into position to challenge for these wins. 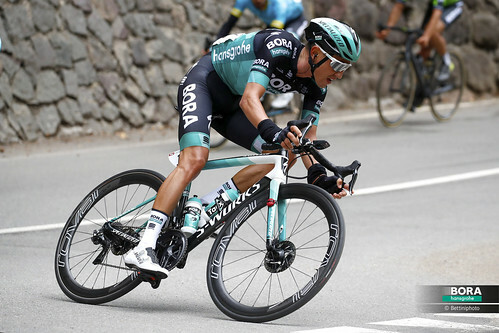 The team had worked unfailingly, not only to go for the wins, but also to provide support throughout the race – whether it was to go in the break in support of Rafał Majka in the mountains, or to keep Peter safe and to pace him on the climbs when the other sprinters were eliminated by the time cuts. 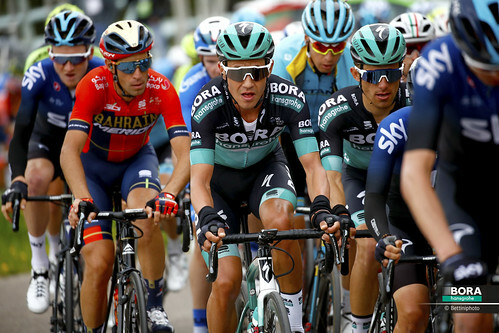 Hitting Paris, it was again BORA-hansgrohe who took charge on the front of the peloton, ramping up the pace to almost 60km/h and making the final kilometres pass by in a flash. The entire team was riding for Peter, and even with the threat of rain, there was nothing that would dampen their spirits. Hovering behind the sprint trains, Peter was ten riders back as Daniel Oss closed down an attack on the front, but it was clear he still needed time to recover. As the pure sprinters contested, the points he took on the line from finishing in eighth saw him breaking his personal record in the Green Jersey contest – ending with an impressive 477 points.